← F1 and MotoGP in Spain: My Kind of Speed Date! Lovely contrasts. Days like you’ve captured so beautifully with your camera are so tangible that just to see the photo is to feel it all over agan. I can’t imagine living with 15 inches of snow all around – it’s quite a different way of life! you have captured that wonderful feeling of crisp clear air. just vibrant in the sun. big thanks. You are most welcome, Robert – I love sharing photos of the beautiful area where I live. Thanks for leaving a comment – much appreciated. This picture gives me hope spring is not far off! 🙂 We’ve had snow on the ground here since beginning of January so this picture put me in a good mood. Feel free to share more pictures of non-snowy landscapes. Glad it cheered you up Amelie – yes, you’ve had LOTS of snow, haven’t you? 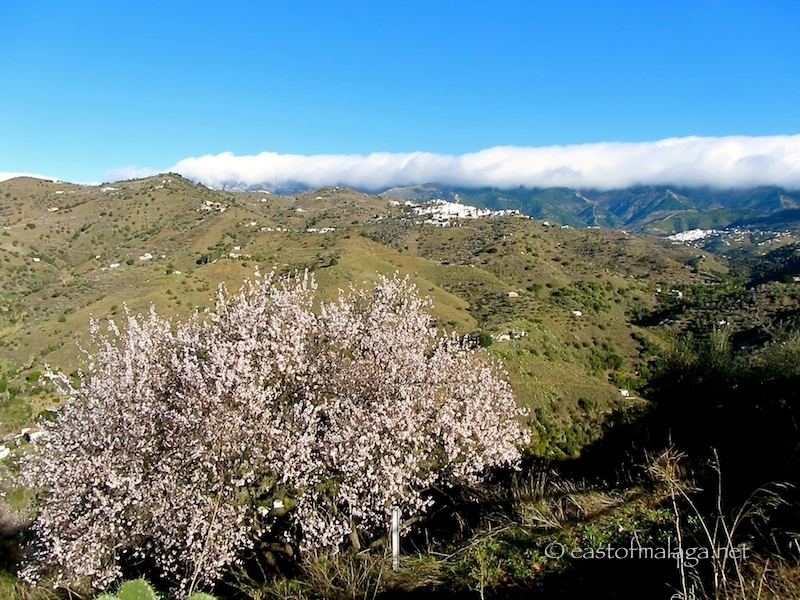 I love this picture: almond blossom, blue sky, white washed villages. It can only be Andalucía. Thanks for your comment, Sophie – much appreciated. That is a stunning shot, Marianne! The clouds are dramatic! OH no words needed! So beautiful! Thanks Tamara 🙂 We are so lucky! Looks like a lovely Sunday. Hope you had a wonderful Valentine’s Day! Yes, it’s a lovely Sunday here, Cathy – the weather is a bit different than where you are, or in the UK. Was this photo taken today? Beautiful! The city of Malaga is a fabulous place, these days – vibrant, full of life with lots of wonderful tapas bars, fresh food markets and the fabulous new port area, Muelle Uno. I you haven’t been recently, you’d be amazed at the transformation.